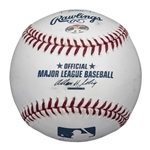 Seattle Mariners rightfielder Ichiro Suzuki has signed this Official Major League Allan H. Selig baseball. 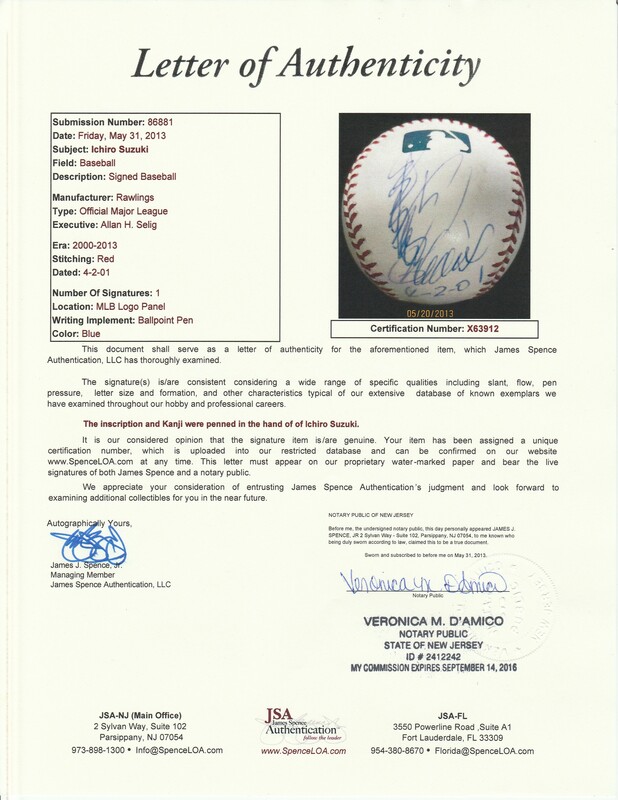 Ichiro made his debut in the United States in 2001, winning both the American League Rookie of the Year and MVP award after hitting an American League-best .350 with eight homers and 69 RBI. 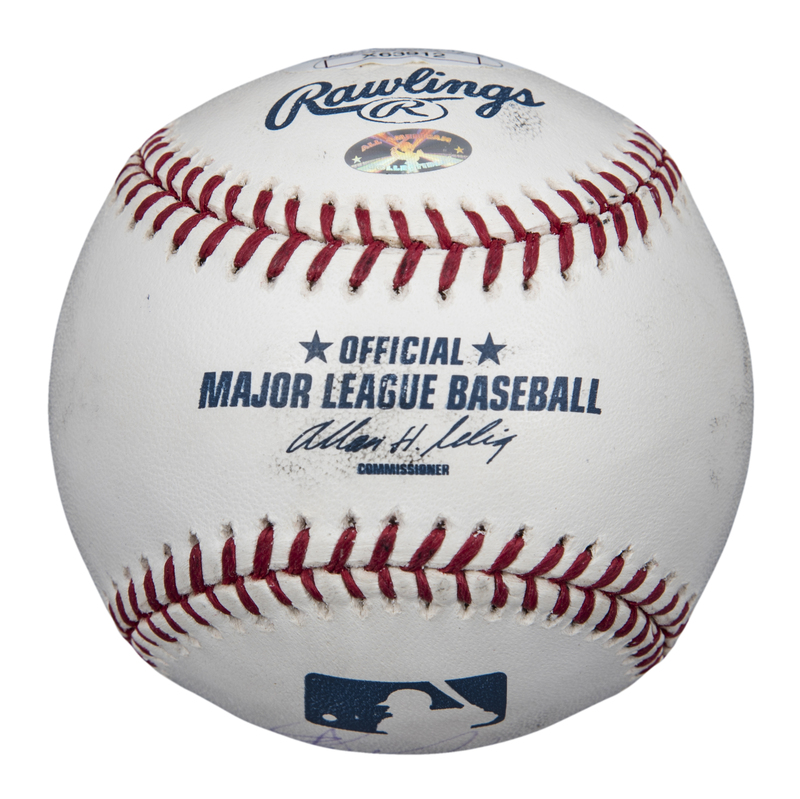 Ichiro led all of baseball in hits (242) and stolen bases (56) for the 116-win Mariners. 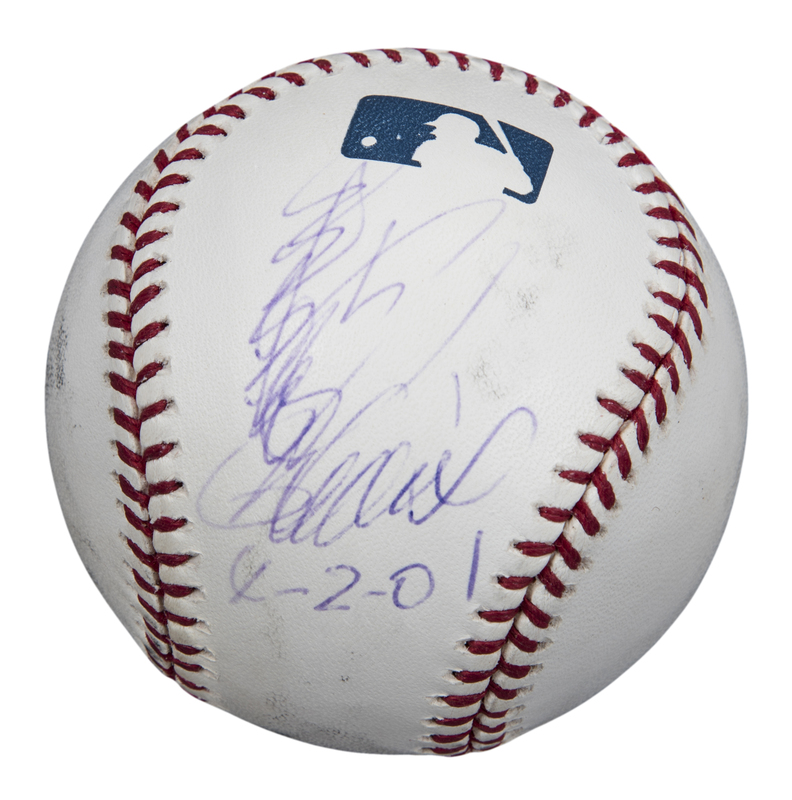 Ichiro has signed the east panel of this baseball in purple pen, signing his name in both English and the Japanese Kanji script. 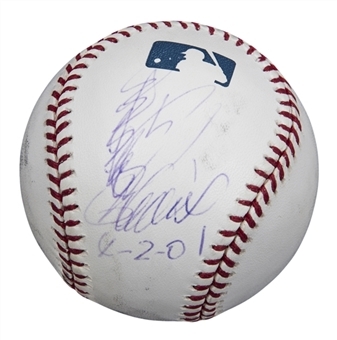 Ichiro inscribed “4-2-01”, the date of his MLB debut, beneath his signature. 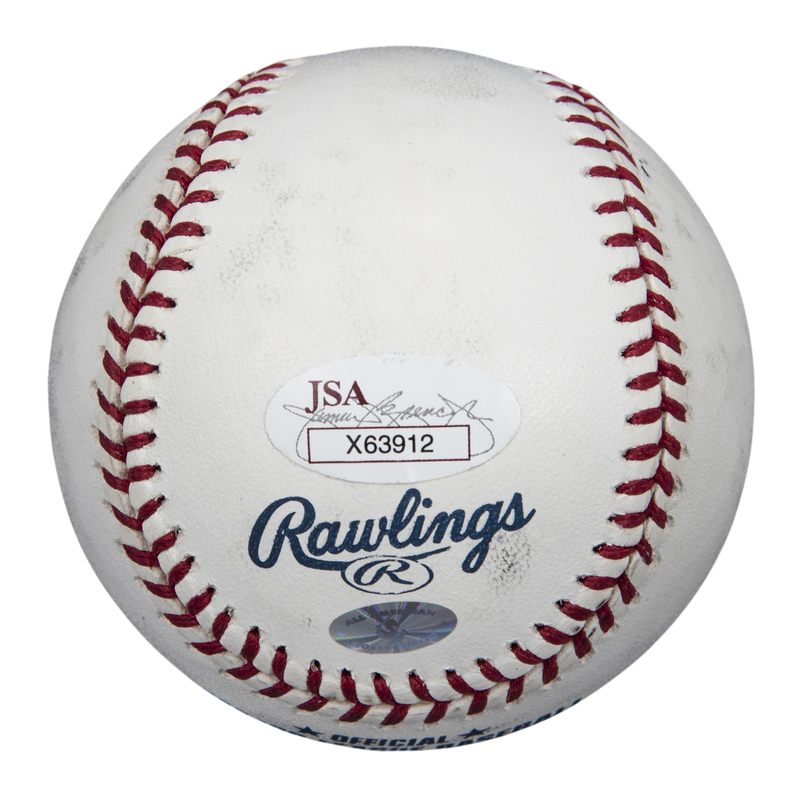 This baseball comes with a LOA from JSA (X63912).